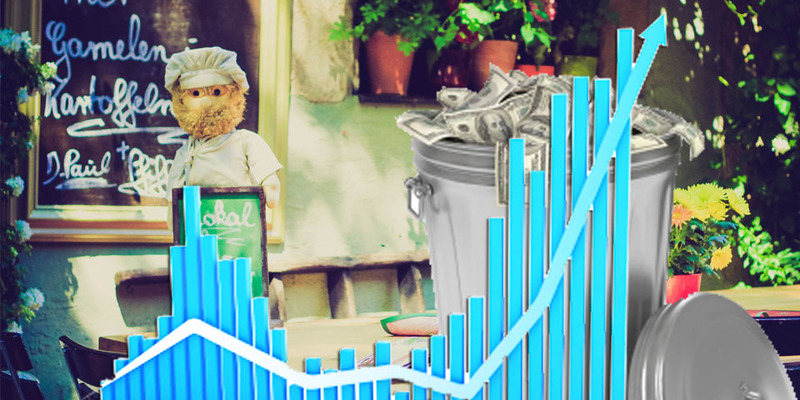 This tutorial shows the steps to calculate food costs from adding a recipe to Shop’NCook Pro software to getting an accurate cost estimate and sale price per portion. If you don’t have Shop’NCook Pro, you can download it here for a free 45-day trial. For more information on recipe costing, watch also the video “How to cost your recipes”. Click on the New Recipe button of the toolbar to add a new recipe (1). 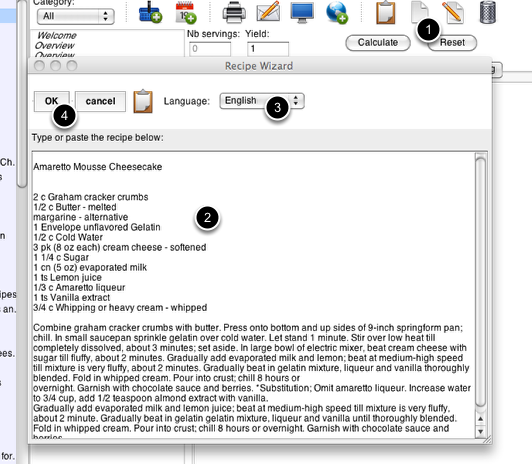 Type the recipe in the wizard window (2), make sure the correct language is selected (3), and click on OK (4). The recipe opens in the editor. Make sure that all the ingredients have been correctly recognized (1) and input the number of servings (2). Display then the shopping item tab (3). 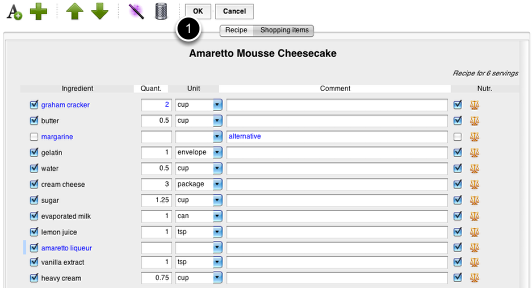 Click on the arrow of the pull-down menu of the ingredients in red to link them to the database of grocery items (1). If there is no appropriate item, click on the database button to add a new item to the database (2). 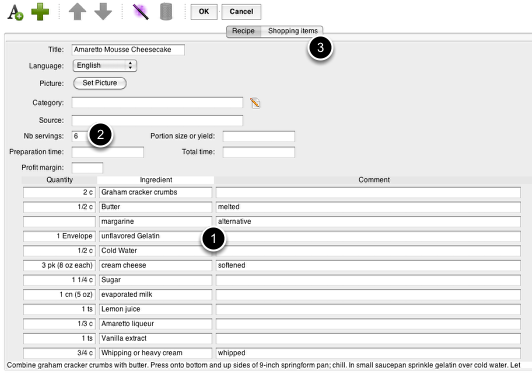 Once all the ingredients have been linked to the database of grocery items, click on OK to save the recipe (1). 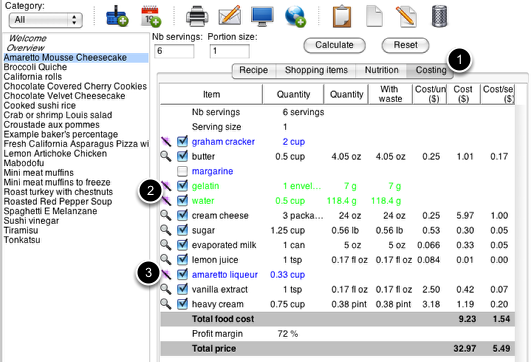 Click on the Costing tab to display the cost break-down of the recipe (1). 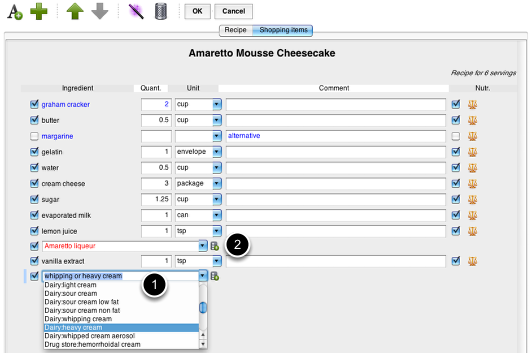 Click on the magic wand button next to the ingredients in green and input their cost (2). Click on the magic wand button next to the ingredients in blue and input the weight of the unit of measure (3). The cost and cost per portion of the ingredients in black are displayed (2), as well as the total food cost, cost per portion and suggested sale price (3). Note that ingredients without quantity cannot be included in the costing (1). 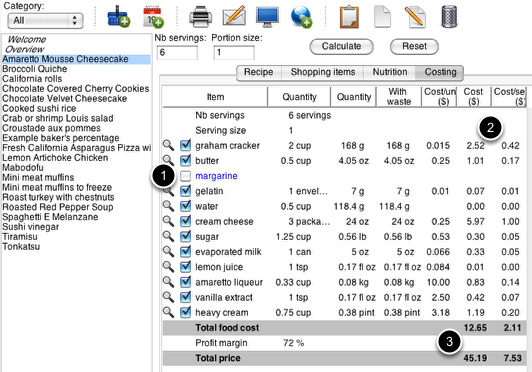 Try Shop’NCook Pro software now to calculate your food cost!